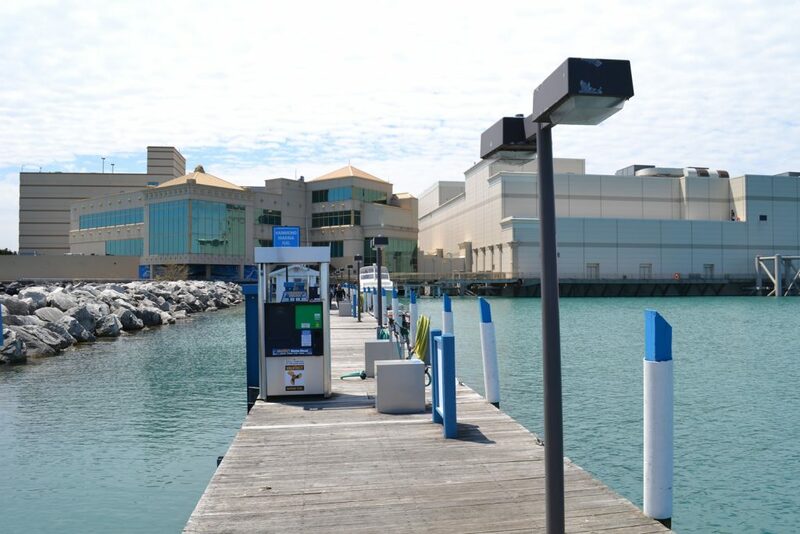 Situated just inside the entrance to the Marina, the Hammond Marina Fuel Dock is just 12 nautical miles from downtown Chicago. We offer very competitive prices for diesel, regular and premium gas. For your convenience, we’re open 7 days a week from Memorial Day through Labor Day, with extended hours on the weekend. Stop by to fill up, pump out your boat, grab some snacks and stock up on ice and water! We also carry oil, fuel stabilizer and a small selection of basic boating needs.